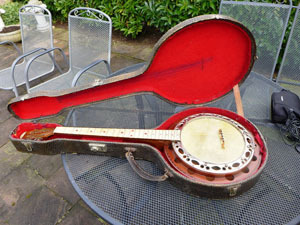 Here are some instruments of my collection resp. 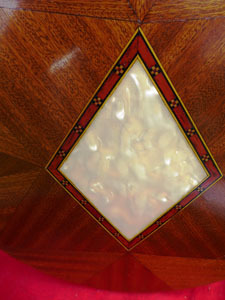 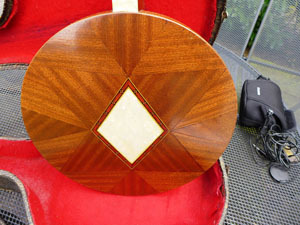 on commission basis which I´m going to sell. 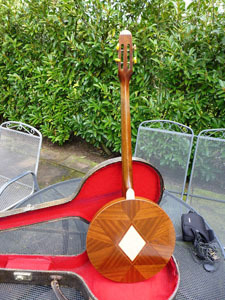 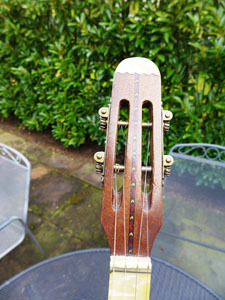 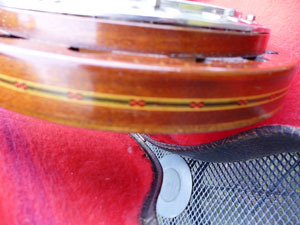 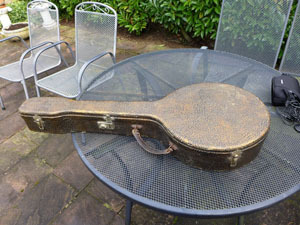 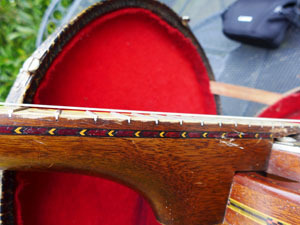 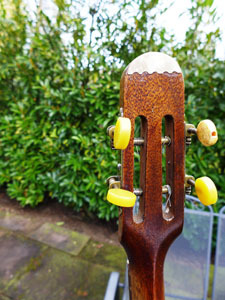 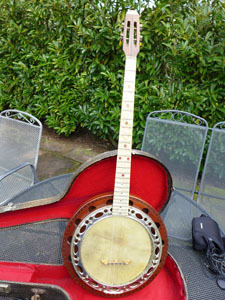 1930s French made banjo, scale length of neck is 54 cm, it got 25 frets, the head size is only 8 ", these type of tenor banjos were named "Tangobanjo", its in perfect condition and comes with its original case. 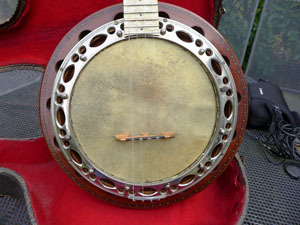 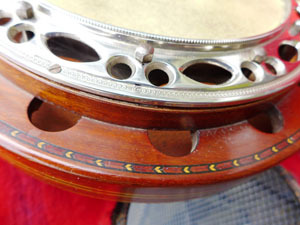 Französisches Tenorbanjo aus den 1930ern, die Halsmensur ist 54 cm, es hat 25 Bünde, die Fellgröße ist nur 8 ", dieser Typ Banjo wurde "Tangobanjo" genannt, toller Originalzustand, es kommt mit dem originalen Koffer.